Trex Transcend is an environmentally friendly composite decking system that could be the answer to all of your decking needs. But what does that mean? 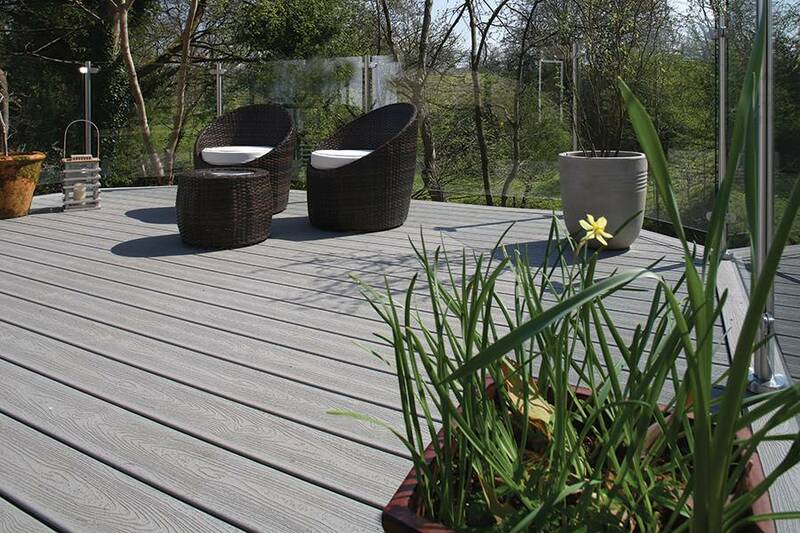 What is composite decking? Already used extensively throughout Europe and the USA, 95% of Trex Transcend composite decking is manufactured from recycled materials including plastic and wood waste. The result is an extremely weather-resistant board which is hard to damage, won’t warp or splinter, and is fade, stain, mould, rot and scratch resistant. The system will never require staining or painting and will look as good in years to come as when it was first installed. Available in a choice of six colours, Trex Transcend encompasses a matching range of designer handrail and spindle options. Trex is also backed by a 10 year commercial deck guarantee. When specified for residential applications, this is extended to a class-leading 25 years including fade & stain. The environmental credentials of Trex composite decking are impressive – in the manufacture of its decking products, the company recycles 1.5 billion shopping bags each year. Trex Transcend, available from independent merchants throughout the country, is distributed exclusively in the UK by Arbordeck, one of the UK’s leading manufacturers of innovative decking solutions.